In the past year, I began researching many strands of the long and varied career of my grandfather Harlow Shapley. Though hardly remembered today beyond the field of cosmology, Shapley was something of a phenomenon for five decades of scientific and political life in the 20th century. Born into a farming family in Missouri, Shapley discovered his astronomical talents by local Missouri and then Princeton educations. He stepped on to the national scientific stage in 1918-1920. In a burst of pioneering work at Mount Wilson Observatory, he demonstrated that our solar system is on the edge of our galaxy and not at the center – another step in the Copernican Revolution. He also proposed that our galaxy was vastly bigger than anybody thought. He defended this thesis also in a famous debate with Lick astronomer Herber Curtis in Washington DC in April 1920. This joust became known as the Great Debate. It is still taught as an example of how science advances - forward 2 steps and back 1 step. It brought him to the attention of the elders of Harvard, where he moved in 1921. Shapley would be Director of the Harvard College Observatory until 1952; he built it into one of the foremost centers of astronomy; HCO was one of the most international and female-friendly US scientific institutions at that time. From early days, Shapley was a relentless popularizer of astronomy and other fields. The social media of that time was newspaper writing. HS wrote articles by the yard, having nearly found his calling as a crime reporter back in Missouri. Starting in the 1920s, he gave radio addresses on popular subjects in his plain-spoken Missouri accent. He lectured well beyond the classroom, to draw wider audiences into cosmology (and his own work). Among his political causes was Palestine, for which he shared Albert Einstein’s enthusiasm. Through the Emergency Committee in Aid of Displaced Foreign Scholars, from 1933 Shapley personally arranged appointments at US universities for scientists and other scholars who needed to flee Europe. To work on different projects, Shapley used a compartmented desk which revolved around a spindle. First, Shapley stood up to the right-wing, anti-intellectual elements in our politics. For example in 1946 he fought a subpoena from the House Un-American Activities Committee (HUAC) and won! Second, Shapley cared about institutions. 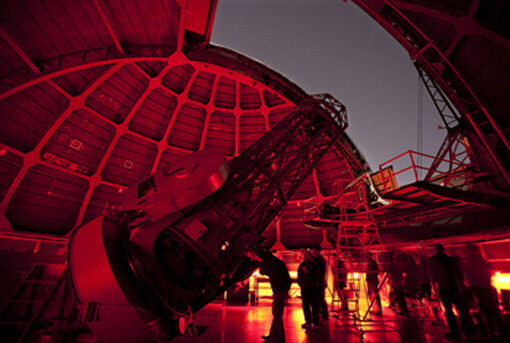 He rose through the era of private sponsors such as George Ellery Hale at Mount Wilson Observatory. But during World War II Shapley realized that the federal government would thereafter be the main sponsor of US basic research. He acted on this insight by helping to shape the National Science Foundation and testifying for civilian control of atomic energy and research. Harvard College Observatory grew in stature during Shapley’s prime. As astudent of Latin, poetry and well-spoken English, he believed Culture includes Science. So in 1945 he got the S added to the mission of UNESCO. Third, Shapley believed everyone could “get” science. After retiring he set a record for the number of lectures given at local colleges and communities. In Vermillion South Dakota on October 4, 1957, the small hall he addressed was “packed to the rafters” because the Soviets had just launched Sputnik. I recall him telling us he had gotten his cab driver to “get” Boolean algebra. I also recall his saying that his appearANC on the Jack Paar TV show was an eye-popping experience after of decades speaking to live audiences. The photo below was taken in 1966 when the American Institute of Physics interviewed The Great Man at the family “farm” in Sharon, New Hampshire. There we summered under the watchful and pleasant eye of our grandmother Martha Betz Shapley. “Grossie” blew the whistle as her 5 minute call for everyone come in from the woods or barn for supper, which she cooked in the simple kitchen. Today our family hopes to win overdue respect for Martha Betz Shapley’s mathematical prowess and her love of learning and music. We recall her jollity - a trait she shared with her steller spouse despite a tad less recognition. The Shapley women will get more recognition soon. My cousin June Matthews has prepared for publication a memoir of HS written by Mildred Shapley Matthews, his daughter who was June’s mother. It is co-edited by Tom Bogden and has the working title “Shapley’s Round Table.” Besides Aunt Mildred’s informal remembrance, there will be some supporting chapters to provide context. Cousin June and I are glad to hear from people and institutions who are interested in raising public awareness of Harlow Shapley on the centennial of his achievements of 1918-1920. It sounds overblown but we believe HS has something to teach audiences today.